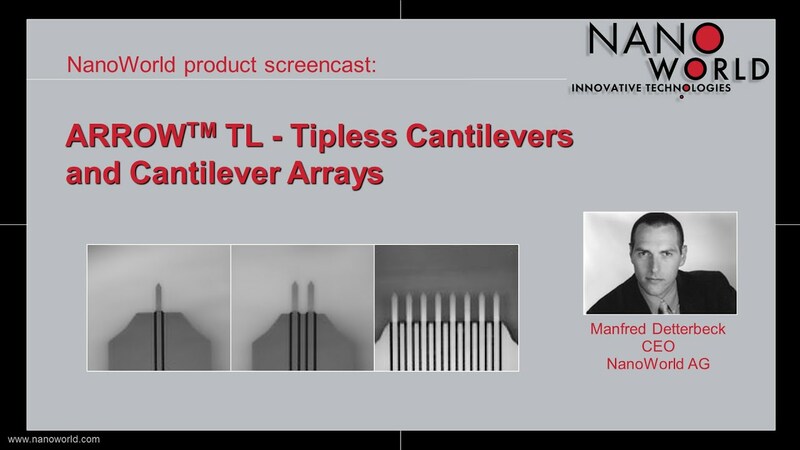 NanoWorld Arrow™ TL2 sensors are tipless cantilevers for special applications. They can for example be used for attaching spheres and other objects to the free end of the cantilever, or for functionalizing and sensing applications. 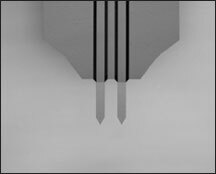 All sensors of the Arrow™ series are made from monolithic silicon which is highly doped to dissipate static charge and are chemically inert. The TL2 sensors feature two rectangular cantilevers having a triangular free end. The cantilevers have a pitch of 250 µm. The Arrow™ TL2Au probes feature a sample facing side gold coating. They are optionally available without a coating (Arrow™ TL2).